Don’t Be Fooled: Vape And “Spice” Are Two Different Things! Watch out vapers, anti-vaping propaganda is in full effect and this article proves it! The article equates smoking “spice” (a synthetic form of marijuana) to vaping. How they came up with this comparison proves to us all that there is a very serious deficiency in common sense with our journalists nowadays. The story is based in Dallas, Texas where 40 people gathered in a school auditorium to discuss the dangers of spice and vaping. How does an auditorium of 40 adults and students make the news? Well, the article gives a chance for the anti-vaping media to spew out more of their lies about vaping. Looks like ground marijuana to me, what me and my buddies back in high school would refer to as “shake.” Shake sold for less because it was ground leaves with little bits of crumbled nugs in it, but it was mostly dried leaves. We still could get high off of it, but it was more like a buzz. 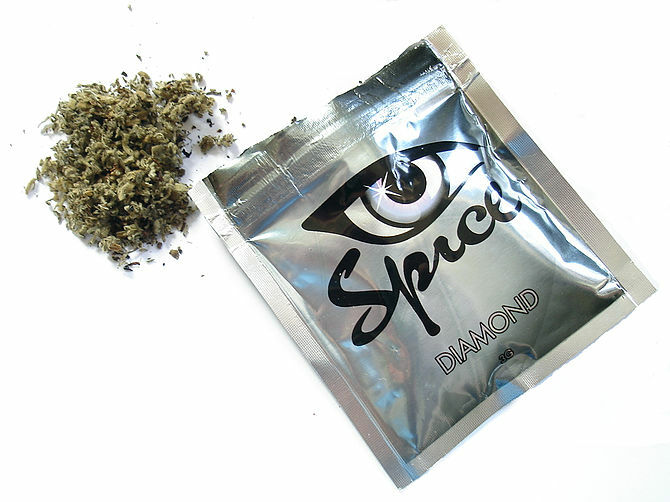 Spice on the other hand, is reported to be 500-700 times stronger than organic marijuana. I don’t know if this is true, and I don’t care to find out. It is also legal in many states because the compounds that are used in making spice are not banned substances. Now I know there are dry herb vaporizers out in the market. Yes, that is still technically “vaping.” But the kind of vaping WE do does not get you high, or alter your state of mind whatsoever. There are people out there that are struggling to quit smoking. The people around them want to quit smoking. They have tried patches, gums, pills, but nothing is working. Vaping has become the most successful device in getting smokers off of cigarettes. People vape because they want to stop smoking, NOT to get high, plain and simple. You cannot compare a vaper to someone who uses spice. Vaping, which the media refers to as e-cigarettes (because they want to associate vaping with smoking) doesn’t get you high. Don’t get me wrong, I am not bashing people who use marijuana. I believe there are other substances out there (both illegal and legal) that are far more dangerous than weed. But you can’t compare vaping with using spice. The only common link the two have is they are both inhaled when consumed. But using this logic, that’s like comparing soda and beer. They are both consumed the same way, but you obviously get different effects after consuming them. Please, warn everyone you know that is susceptible to this type of propaganda and set the record straight about vaping. Vape and spice are two different things!